Mommy Maestra: New 1-Hour Special of ODD SQUAD and a New App! My kids enjoy a good mystery. Like most kids, they love breaking out their private investigator paraphernalia and being "on the case." That is why they are huge ODD SQUAD fans. If your kids are like mine, then they won't want to miss the new episodes from the series that will run all next week. 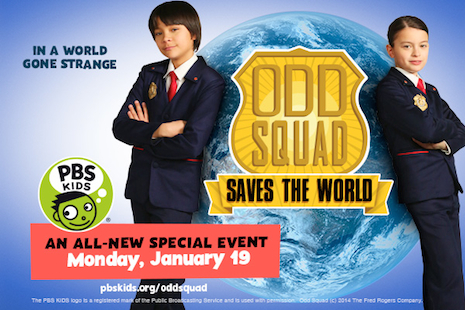 They start with a one-hour ODD SQUAD special this Monday (Jan 19th) in which the kid agents save more than the day – they save the world! In “Odd Squad Saves the World,” the agents tackle high-stakes cases and work together to overcome their biggest obstacles yet. In addition to the on-air broadcast, clips and full segments from “Odd Squad Saves the World” will also be available on pbskids.org, the PBS KIDS Video App and PBS KIDS on Roku, Apple TV, Chromecast and Amazon Fire. PSST! 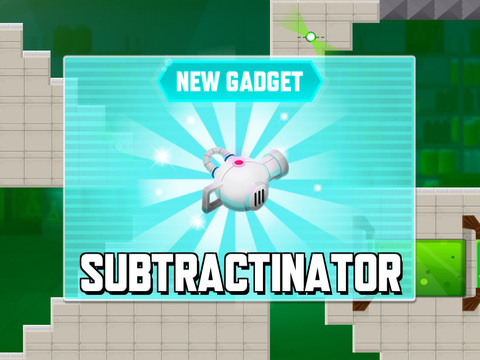 Did you know that you can now get ODD SQUAD gear in the PBS KIDS shop? The series also launched its first app this week and it is super fun for kids! 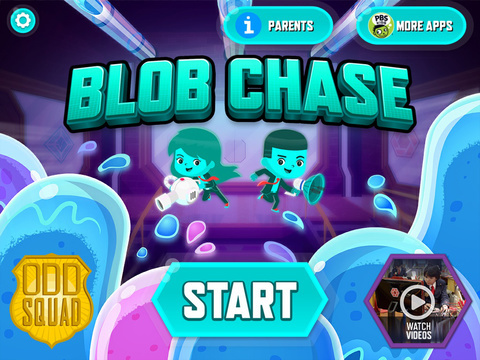 Name: ODD SQUAD Blob Chase! 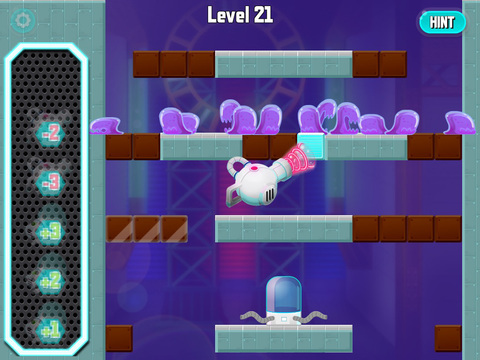 Brief Description: Kids use math skills to investigate and solve problems as they chase and recover blobs that have escaped their containers and are on the loose in Odd Squad headquarters. The entire concept of capturing the blobs that are on the loose. They also like that it is tricky and there is so much action on the screen. It requires quick thinking on their part to zap the right number of pieces to manipulate the blobs across bridges, over walls, up/down tubes to their containers. My son sometimes struggles with math, his least favorite subject, and this app makes applying math concepts fun. I'm delighted that he enjoys using those skills that he needs to practice (addition & subtraction) with the characters/story line that he loves. Disclosure: I received an ODD SQUAD screener and access to the app for review purposes. All thoughts and opinions above are my own.